Beautiful song to work after class as relaxation or as a listening exercise!!! Students fill in the words of the song. 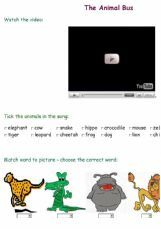 Learners have to complete the blanks as they listen to the song.